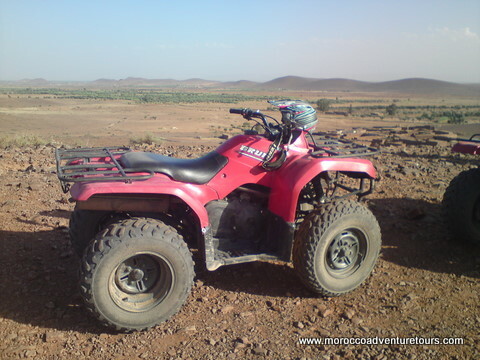 We are pleased to offer quad bike treks as part of our activity portfolio. These last for a full morning or afternoon and include all your safety equipment and training, allowing even a total beginner to become familiar with the bikes before we head out for the 40km trek through the edge of the desert. We also stop at a traditional Berber house on the journey and sample some fresh made mint tea before roaring back to base. Includes transfers from Marrakech, all safety equipment and training. Half Day – £60 per person; Full Day – £110 per person. Want this space? Click here for details. If you'd like us to get in touch with you to discuss your holiday in Morocco simply fill in your details below and we'll contact you asap!